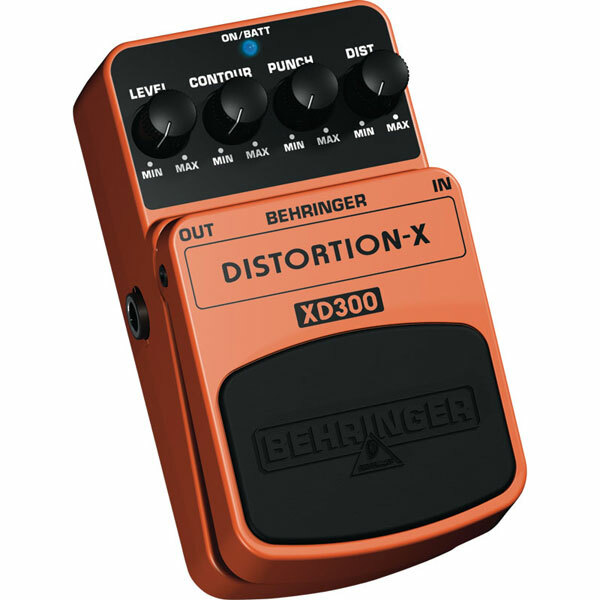 The XD300 stomp box is definitely a must-have weapon for all guitarists who want to rock the world with thrash metal, grunge and hard rock sounds. The XD300 provides cutting-edge yet original distortion that makes your guitar sing as well as grind. It features dedicated Distortion, Punch, Contour and Level controls for awesome sound shaping. A cool blue status LED for effect on/off and battery check plus a first-class electronic on/off switch for highest signal integrity in bypass mode are included. The XD300 runs on a 9 V battery or a DC power supply (not included).